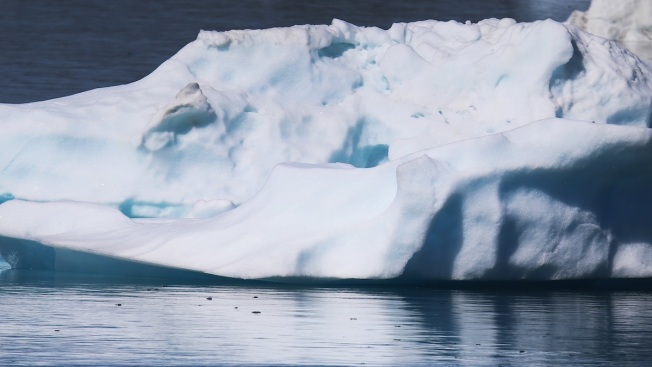 File - Icebergs are seen floating in the water on July 30, 2013 in Narsaq, Greenland. NBC Chief Meteorologist John Morales traded in the warm sunshine of South Florida for the chill of snowy Breckenridge, Colorado this week for the 28th Annual Weather and Climate Summit. The summit is by invitation only and was established as a way to bring together top television meteorologists from the U.S. and Canada with the leading scientists and researchers in the fields of weather and climate. This year’s summit is examining the climate change and its role in weather and other parts of life including national security. The summit also is taking a look at the loss of Arctic ice, new technologies for better forecasts and warnings, and new hurricane products for the country. Watch a live stream of the conference below.